School artists team up with businesses and groups to support their messages with fresh ideas and artistic designs. Click on the fullscreen icon on the bottom right to zoom in or reduce the document. And visit Royal City Centre to see the ads on display in April. From newspaper ads for pet grooming to support for New Westminster Firefighters’ Local 256, student artists are sharing their skills for the annual Design-an-Ad project 2019. This year, once again, the mix of creativity and fun is evident. 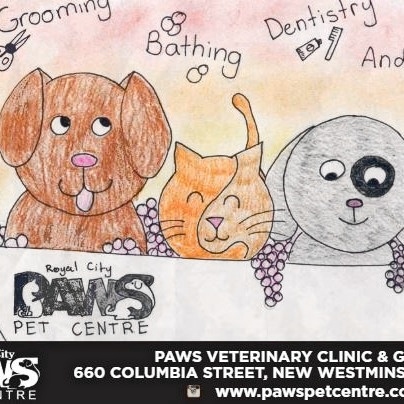 Check out the image of a bowlful of dogs and cats for Paws Veterinary Clinic and Grooming by grade 7 student Sahara, at Fraser River Middle School. Or be inspired by the image of a happy tooth that’s just been treated to a session at the Belmont Dental Center, thanks to grade 6 student Grace at École Glenbrook Middle School. Students turned their artistic ideas to support the messages of realty firms, a seniors’ residence, yoga and health, restaurants, and the Massey Theatre, now celebrating its 70-year anniversary. 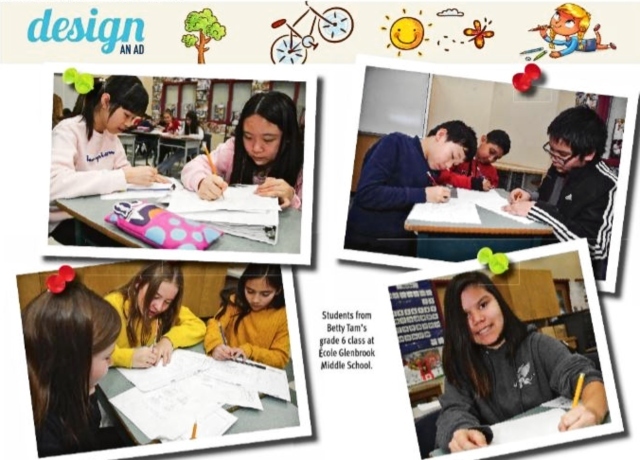 Thanks to a partnership with the New Westminster Record, local businesses and organizations, and the teachers and students of New Westminster Schools, students are now published designers! Visit Royal City Centre to see the ads on display in April!